Pearl, the gem of the sea, has evoked a sense of mysticism for centuries. This is not only related to the beauty of the gem, but also to its potential healing power. When infused into your favorite skincare products, the skincare and beauty researchers at Kristals Cosmetics say that pearl has serious brightening abilities. Not only that, but its abundant minerals make it fantastic for revitalizing cells and building bones. 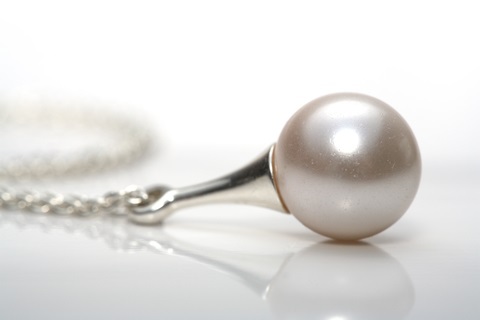 Overall, pearl promotes feelings of health, joy and longevity. The power of the mineral is so strong that it’s even now used as a nutritional supplement. With that in mind, here are a few pearl-infused skincare products that you might want to take a closer look at. The serious toning and revitalizing properties of pearl are frequently put to use by Kristals Cosmetics to work on the always important neck and chest area. This firming cream combines pearl with a variety of cutting edge ingredients, including hydrotensyl complex, boron, allantoin and vitamins E and B5 to bring back youthful elasticity to the skin. When the neck and chest need a little more attention to cleanse and balance the skin, this firming mask is an excellent choice. Here, the pearl is blended with the ancient ingredient kaolin clay, along with allantoin, to balance both dry and oily skin. While the mask is designed for occasional use, this firming serum can be applied every day to promote some of the same properties for a clean, vibrant and youthful-looking neck and chest area. Active ingredients that contribute include vitamin E, pro-vitamin B5, silica, allantoin and dimethicone crosspolymer to keep the skin clean and vibrant. Kristals Cosmetics has unlocked the holistically healing power of gemstones like aventurine to promote vibrant, radiant skin with a deep range of products, including creams, masks and serums. Kristals Cosmetics complements its gemstone-infused skincare products with leading-edge ingredients designed to pair perfectly with precious gems, including peptides, niacinamide and Vitamin C. In addition, Kristals features a full line of jewelry based on precious and semi-precious gemstones. You can find out more at Kristals.com or visit its other informational sites, like kristalsbeauty.com, kristalscosmetics.blogspot.com or kristalscosmetics.wordpress.com.